The self storage industry has come a long way since the days of roadside storage facilities with few amenities, size options and features. These days, it’s nice to know how to get the most out of your self storage experience. A big part of that is understanding how the area you’re storing in affects the stuff in your storage unit. So whether you’re storing long term or short term, here are our top storage tips for Frisco. From hot, humid summer days with temperatures in the high 90’s to shockingly cold winter nights that hover around freezing, Frisco is home to some pretty extreme weather patterns. If you’re a self storage user, that means you need climate control. If you’re unfamiliar with climate controlled self storage, let’s break it down really quick. Climate control regulates the temperature and humidity inside your storage unit so that your items aren’t exposed to extremely hot or freezing temperatures or any of that classic Texas humidity. All Storage offers climate controlled storage because it’s an essential self storage feature to have no matter what you’re storing. Not sure about which of your belongings need climate controlled storage? Here’s a brief sample of items that do: photos, wine, books, antiques, electronics, artwork, wooden furniture and sports equipment. Trust us; this is hardly an exhaustive list. If you’re storing something that you think could be damaged by heat, cold or humidity, it’s best to get a climate controlled storage unit when renting in Frisco. When was the last time you actually wrote a check and personally delivered it? If you’re like most people, you either don’t do this that often or you don’t do it at all. This is why All Storage in Frisco offers online bill pay. Whether you’re a college student renting a storage unit in Frisco and you’re not always in town or you’re just not wanting to leave your air conditioned house on one of those hot summer days just to stick a check in the mail, online bill pay can make your storage experience infinitely easier. Sports are serious business in Frisco. Whether you’re a fan of football, soccer, hockey, baseball, lacrosse or anything else, chances are you can watch a game or maybe even attend a practice event in Frisco. The Texas city is perhaps best known for being home to the Dallas Cowboys training facility, but six other professional sports teams either practice or play in Frisco. If you’re a budding athlete—or if you’ve already made the team—self storage is a great place to store your gear during the off season. Just be sure to clean it, deodorize it and organize it so that it’s in top shape for the next big game. Frisco is a great place to raise a family thanks to its small town feeling, nearby lakes and excellent school district. 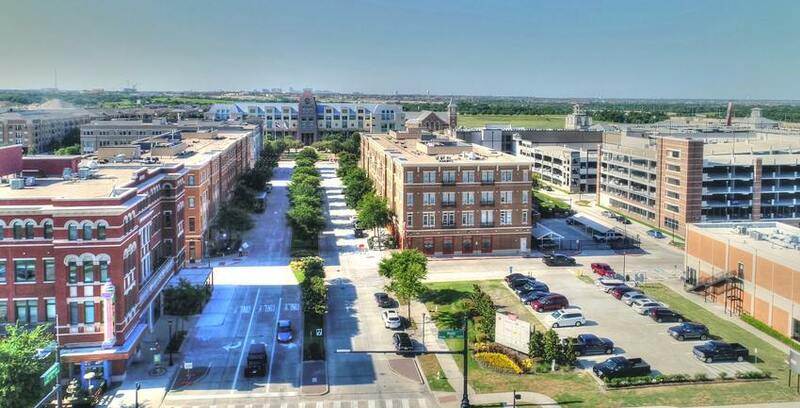 Frisco is also consistently ranked as one of the safest cities in the country. The statistics speak for themselves: crime rates in Frisco are 52% below the Texas average and 46% lower than the national average. That being said, when using self storage, it’s still important to take security seriously. All Storage provides great security no matter what you’re storing, with features like gated entry and reliable locks to keep your belongings safe in your storage unit. It’s also a good idea to organize your storage unit with safety in mind. Avoid storing anything extremely valuable (we’re talking diamonds, pearls and fur coats) and keep your most expensive items towards the back of the storage unit. Burglaries are extremely uncommon, but even in a town as safe as Frisco, it never hurts to be cautious. NEW DOMAIN EXTENSIONS -What is a .storage and why we chose to be one!